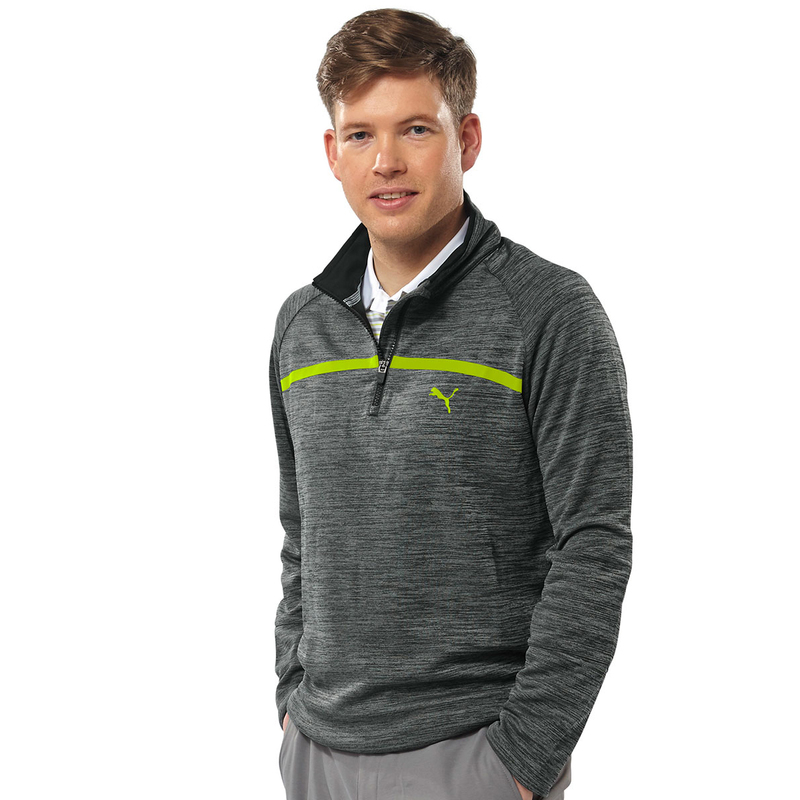 This double knit layer offers warmth and mobility and you play golf. 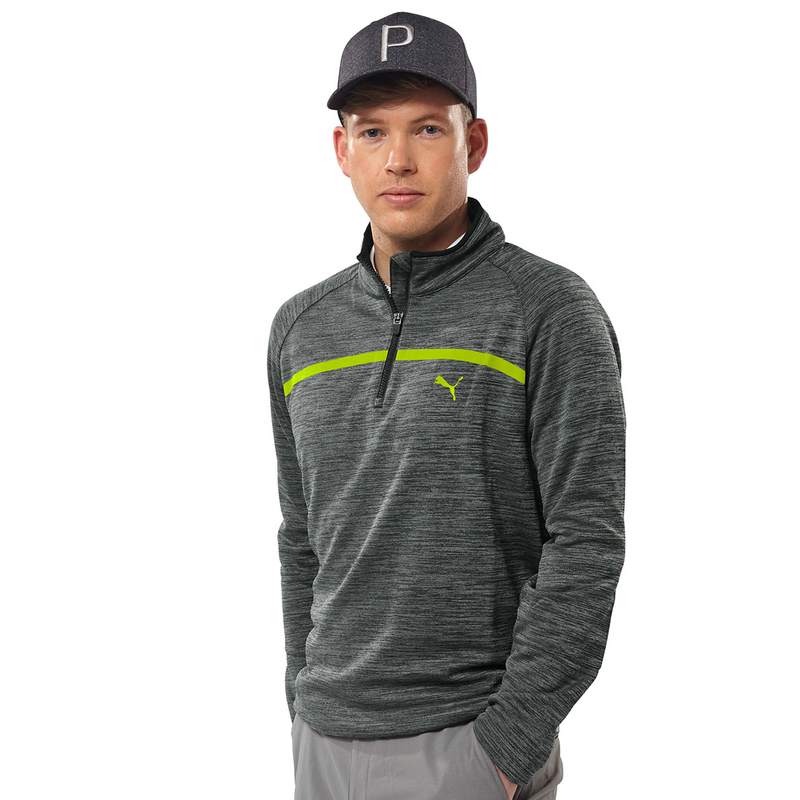 Engineered with a moisture wicking stretch fabric to ensure less distraction and a better performance during your game. 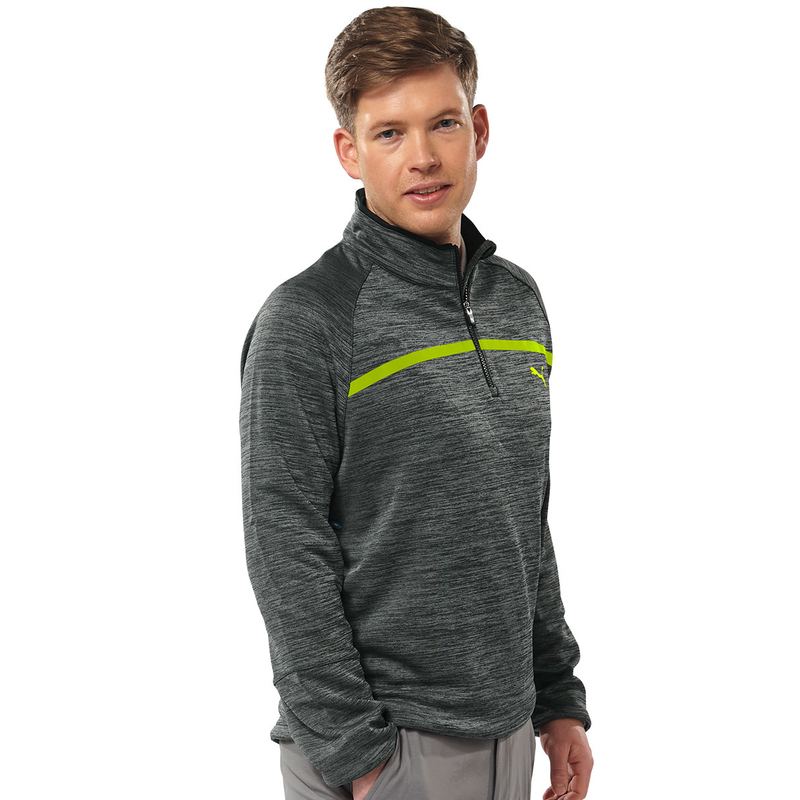 A warmCELL fabrication helps to retain your body heat, with quarter zip opening and raised neck to lock in your natural warmth. 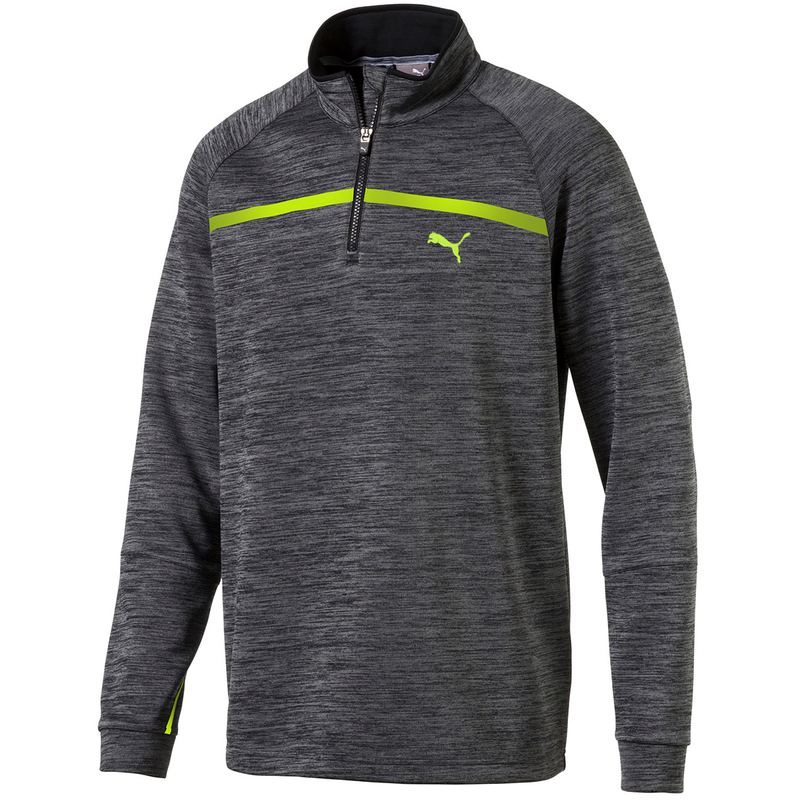 Other design elements include bonded tape accents, and PUMA branding to the left chest and back neck.